Find a pack to join HERE! Visit the Lighthouse District website! District pages are updated by District volunteers. Contact your District Executive, Jeff Snow, if you have information for your District pages. Join the Lighthouse District Committee! The Lighthouse District Committee is looking for Scouters with a vision for, and committment to, district operations. If you are interested in joining the committee and putting your talents to work for the betterment of the scouts in the Lighthouse District, please fill out and submit the application below. For a complete list of committee positions, please see the District Volunteers tab to the left. For all questions, please contact Devon Mayo. 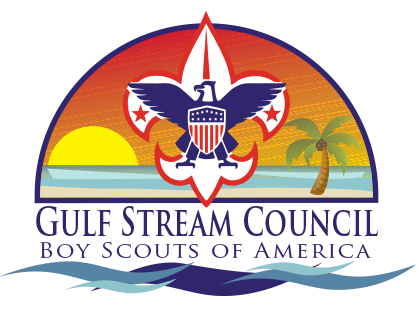 Please Contact Clara McCutcheon at gulfstream.eagleboard@gmail.com to schedule a Board.